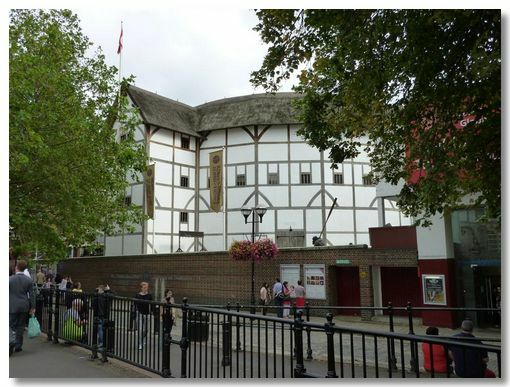 Possibly London's most famous early theatre, the original Globe Theatre was built in 1599 by William Shakespeare's playing company, The Chamberlain's Men. In 1997 the late Sam Wannamaker recreated the theatre close to the original site. The reconstruction was carefully researched so that the new building would be as faithful a replica of the original as possible. It is constructed entirely of English Oak with mortice & tenon joinery and has the first and only thatched roof permitted in London since the Great Fire of 1666. 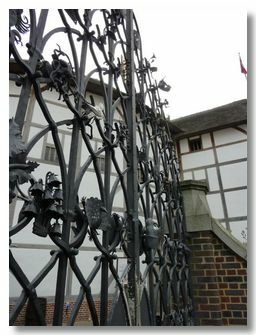 Check out the Shakespeare's Globe website for tours & box office. If you are visiting the Globe on the Thames South Bank, do pop in to the nearby Tate Modern. This photo is from the Henry VIII production we saw in 2010. 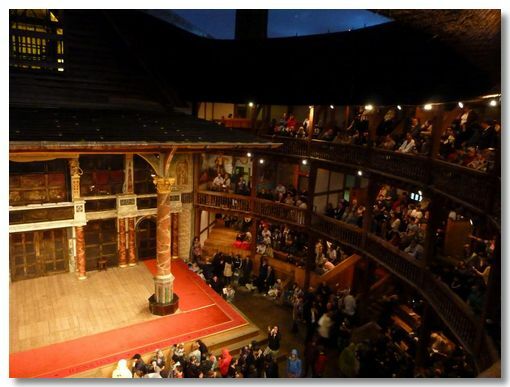 Incidentally the original Globe Theatre was burnt down in 1614 during a performance of this very play.